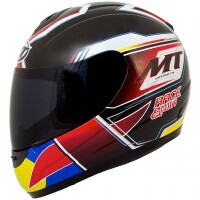 MT Helmets are the biggest helmet brand in Spain and continue to grow here in the UK. 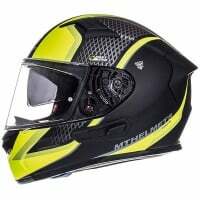 They manufacture a range of full face, flip up, kids, open face and motocross helmets, specializing in quality motorcycle helmets at cheap prices. 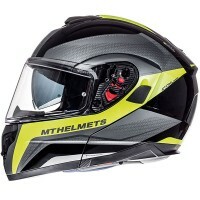 The MT range is constantly evolving to follow the latest trends in helmet development and the diverse range of both colours and styles means there's a MT helmet for everyone. If you're on a budget but refuse to compromise on build quality, MT is definitely the right brand for you and if you change your mind, it wont cost you a penny. 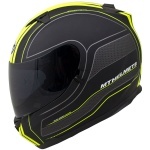 Our free delivery and free returns policy is applicable across every single helmet we sell!. 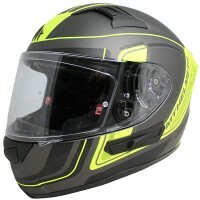 Very happy with this helmet, especially for the price. It is well made and looks the part. The pin lock is an added bonus and works really well. I added the dark visor. 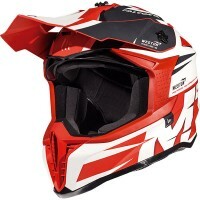 Be sure to make sure you get the right visor fitting as there are two (v1 and v2). 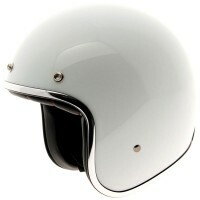 The helmet sizing is accurate and a very comfy fit. For £100ish i didnt expect all that much but when my DPD package arrived I have to say i was impressed. 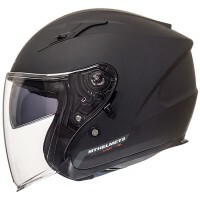 This helmet offers a great SHARPS protection rating, Features like a drop-down sun visor and removable pads at a reasonable Price. Furthermore it fit perfectly as well as looking absolutely stunning. 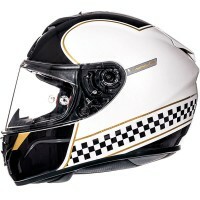 I would 100% recomend this helmet to anyone looking for a cheap high quality helmet to get yourself on the road. 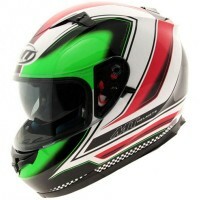 Although many better Helmets are available not many of them match the price of this one. 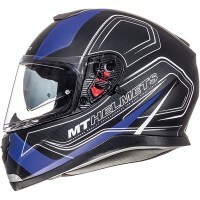 For the price I found the helmet pretty comfortable and it has impressive safety ratings for a budget lid. 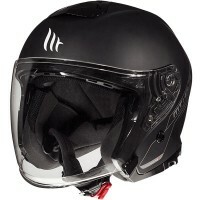 Two years on and I decided to write a review for other future buyers: - The helmet is a bit noisy and has a whistle. 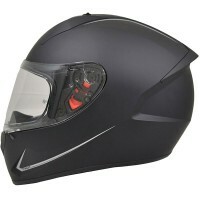 Noise can be heard with the visor open at 20 and closed at 50mph. 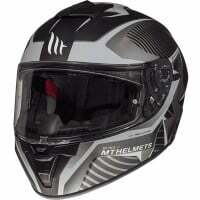 Doesn't bother me too much but when I tried another helmet the difference was noticeable. 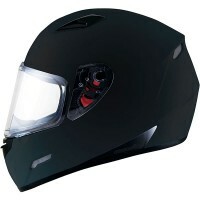 - The visor fogs, this could be the same for all helmets for UK riders. 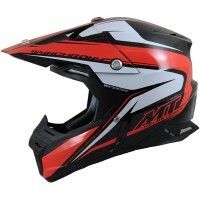 It's pinlock ready but make sure you order the correct part, there is a different insert for the thunder 1. 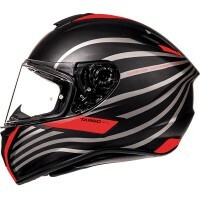 This model helmet is is a thunder 2 I believe which has the same visor as the newer thunder 3 (MT V-12) as they have different visors. The pinlock I ordered alongside this was for the old thunder 1 (MT V-06) and is NOT compatible so look out for that. 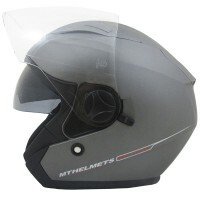 - The helmet itsnt as streamlined as others which you notice at faster speeds. But it's fine for shorter motorway trips and city riding. 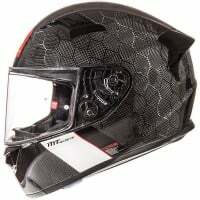 - The chin curtain and the underside of the cheek pad are held in place by a weak glue that degrades quickly resulting in these parts falling out of the helmet pretty soon and easily. Quite annoying. 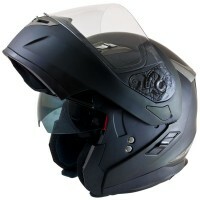 The underside of the cheek guard breaks down pretty fast too and isn't grippy so it slides off a seat pretty easy. 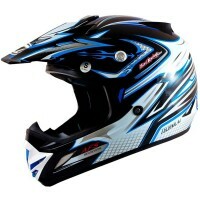 - The helmet is comfortable, easy to clean, visor secure but easy to remove, very good value and looks nice. 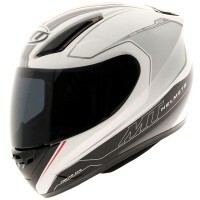 For the price you get what you need as what I would call an entry level helmet. 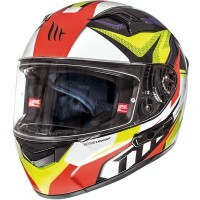 Bought this in September 2017 and was a bit disappointed to see it was manufactured in 2015...that's 2 year old stock, not great when you consider the helmets have a life of around 5 years after manufacture. 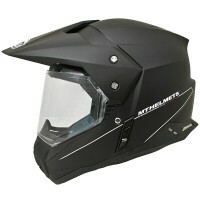 I'll make sure I put a delivery comment and check this ASAP next time I buy a helmet so I can get my hands on a fresh piece of kit (which you expect when paying full price from new). This is why I gave 3 stars not 4. 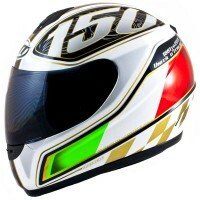 Please sportsbikeshop sell me a newly built helmet or consider giving a discount on older stock in the future!